The iconic rose is one of the most recognized symbols of love and beauty even with its short lifespan. This pendant catches the rose at its most beautiful moment, in full bloom. Each rose is made in solid 14 karat gold and detailed by hand to truly bring it to life. The pendant is then inspected for perfection and brought to a high polish. This is the perfect gift for a loved one, a gift to yourself as a reminder to love yourself or maybe you just love roses! Whatever it may be, the beauty of the piece is easily appreciated. 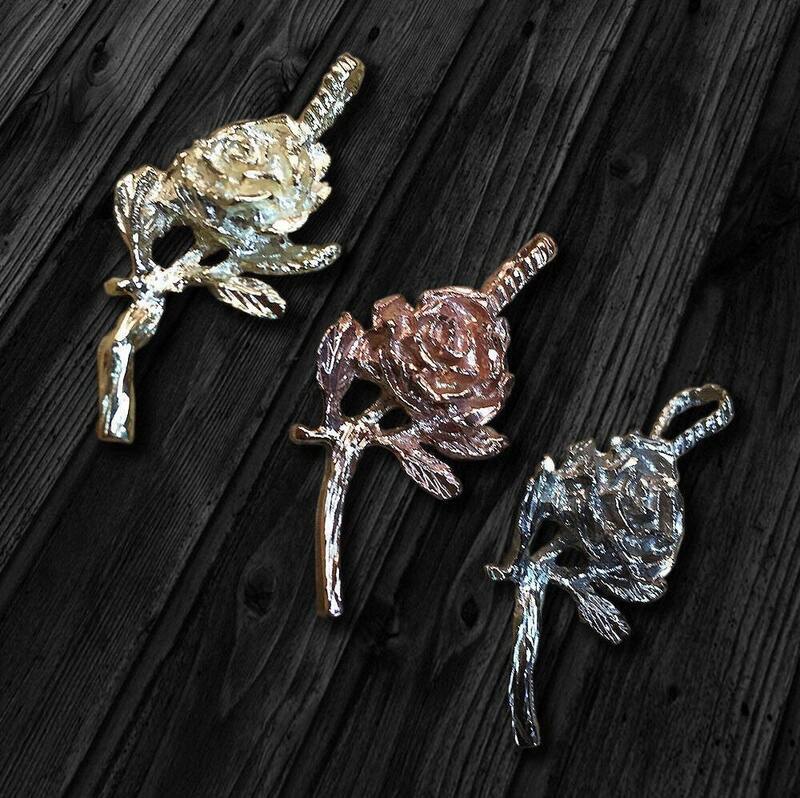 Each rose pendant has subtle differences making each one unique, as no two roses are identical in nature. 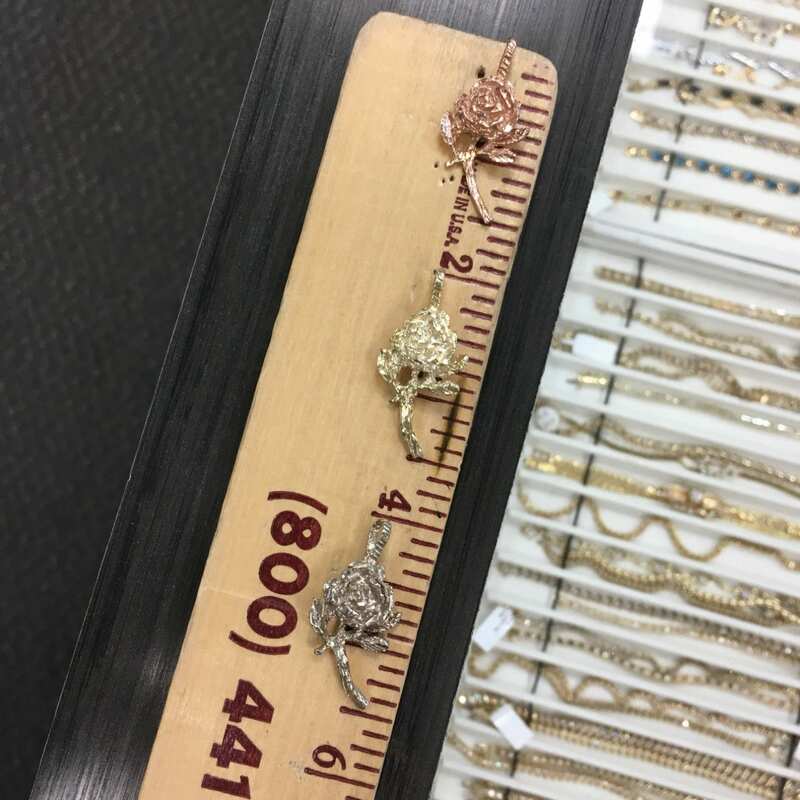 The pendant is roughly 1.5 inches long and 0.75 of an inch and available in yellow, white and rose gold. Choose to purchase without a chain or with a fine 14 karat gold chain in 16", 18" or 20". As seen on: Karrueche Tran, Kami Osman, Christina Milian, Ashanti, Nicole William and many more.